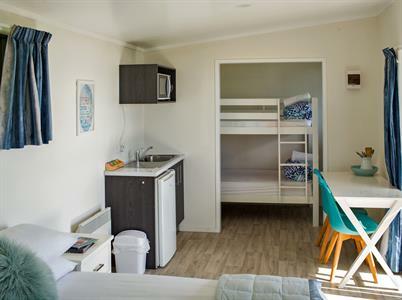 Wake up to the sound of the waves while staying in one of these open planned units. 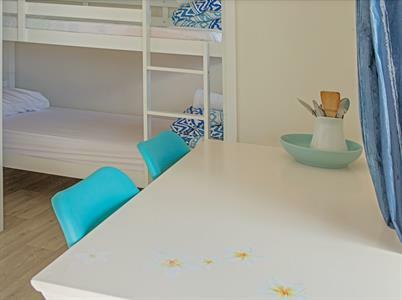 In the living area, you will find a made-up double bed and a set of bunk beds in a small alcove. 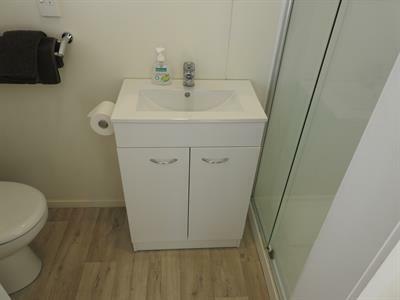 The bathroom has a toilet, hand basin and a shower with great water pressure. Linen and towels are provided. 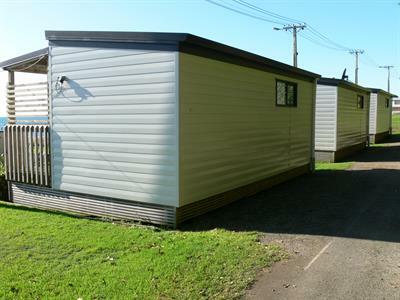 The kitchenette offers basic facilities, a small fridge, microwave, kettle and toaster, cutlery, crockery plus complimentary coffee/tea. The petite table and chairs give you a place to enjoy your meal inside and love bird chairs on the deck are provided too. 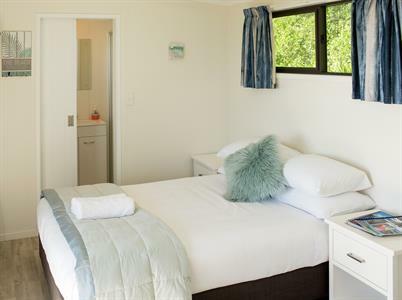 There is also a TV with DVD player and free view for the quiet days at your home away from home. 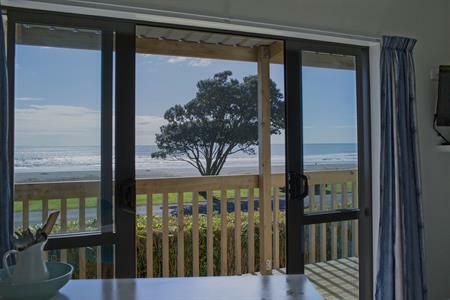 On the spacious, water facing deck you can relax and watch the magical sunsets here on Oakura Beach.